Carrots are among the kitchen's most versatile ingredients. Their firm texture and sweet flavor work well in any cuisine, and they can be eaten raw or cooked with equal pleasure. In their natural unpeeled state, they'll keep for months in a cool cellar with moderate humidity. Still, it's sometimes useful to have carrots peeled and ready to use. They tend to dry out in the fridge once cut, so they require a little extra care. Carrots are the swollen taproots of a plant in the umbellifera family, which also includes parsley, parsnips, caraway and cumin. Originally found in red, white and purple, the common orange variety favored now was developed in 17th century Holland, according to food science writer Harold McGee. The roots are high in natural sugars and beta-carotene, and retain both their color and texture when cooked. 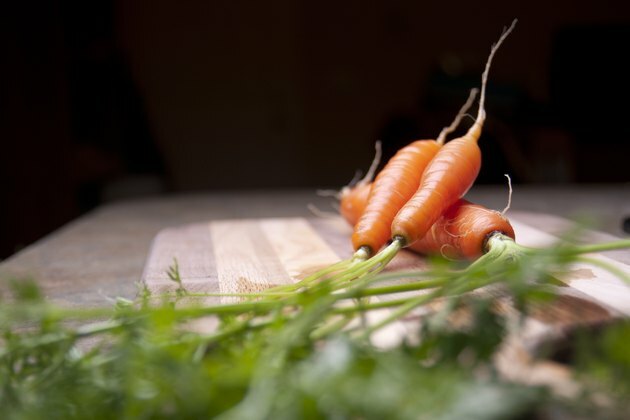 Young carrots are sweeter, while larger, older carrots can become woody. For cut carrots, sweet coreless varieties such as Nantes are the best. The largest problem peeled carrots face in a modern refrigerator is the low level of humidity. With their protective skin removed, it can quickly sap them of their moisture and leave them dry and rubbery. 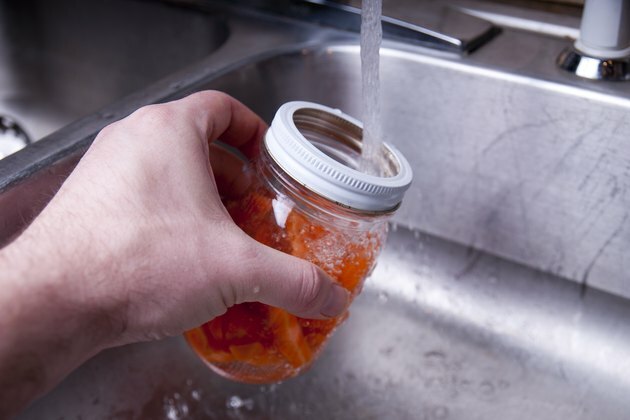 One way to avoid this is to store the carrots in a sealed container with cold water. This isn't entirely ideal, as the water will leech some nutrients from the carrots, but it maintains their moisture and crisp texture quite adequately. Change the water daily to prevent fermentation, spoilage or mold growth. They'll keep for up to a week with little loss of quality. 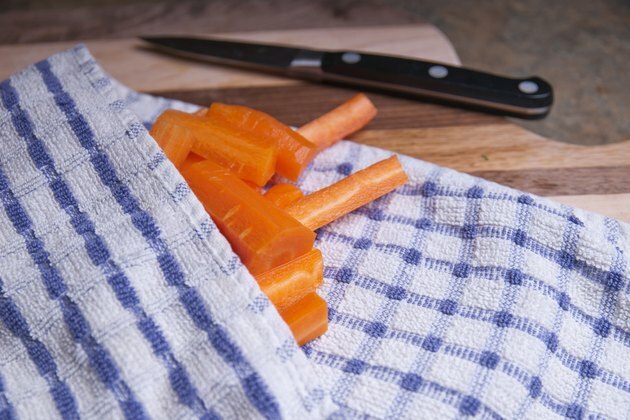 An alternative method that doesn't cause nutrient loss is wrapping the peeled and cut carrots in a lightly dampened paper towel, then sealing both inside an airtight container or plastic bag. The bag retains enough moisture to prevent the carrots from drying out. Open the bag every day or every other day, as necessary, and dampen the towel. The carrots will retain their texture and color for five to seven days. If they become dry they will not remain attractive, but can still be used in a cooked dish. Store them apart from fruit, which releases ethylene gas that speeds spoilage. For extended storage in the refrigerator, blanch the peeled and cut carrots by immersing them in boiling water for two minutes. 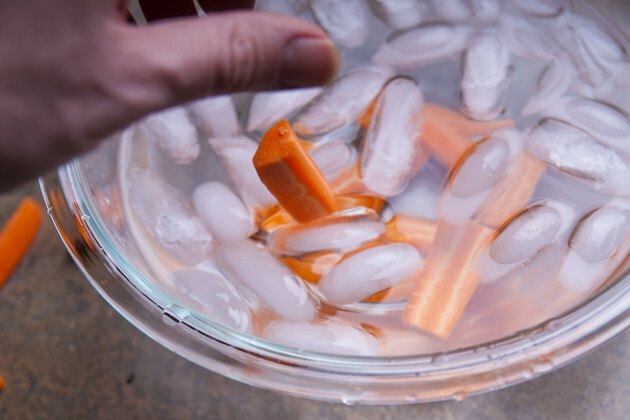 At the end of that time, transfer the carrots to a large bowl of ice water to stop the cooking process. The carrots will still look and taste raw and fresh, but the partial cooking will extend their storage life. All vegetables contain natural enzymes that cause them to spoil and break down, releasing their nutrients back into the soil. Blanching deactivates those enzymes. 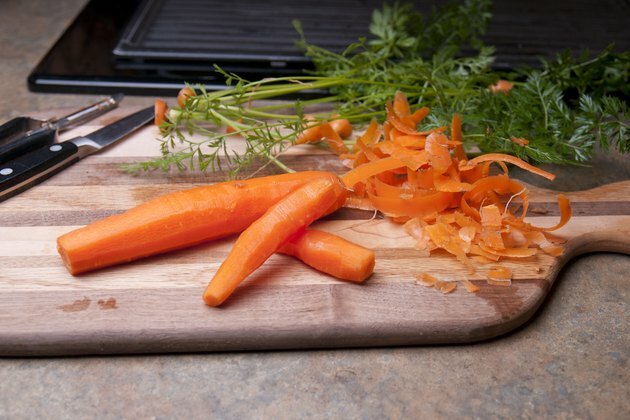 Store blanched peeled carrots the same ways as freshly peeled carrots, for up to two weeks.